They were the best knights in the world. They were advised by the most powerful wizard of all . . . Merlin himself! And their leader was King Arthur, bearer of Excalibur. The story of Camelot is the story of chivalry itself. All the knightly traditions of fantasy . . . monster-slaying, maiden-rescuing, jousts, adventures in disguise . . . came from the tales of King Arthur, as told by a thousand years of bards. 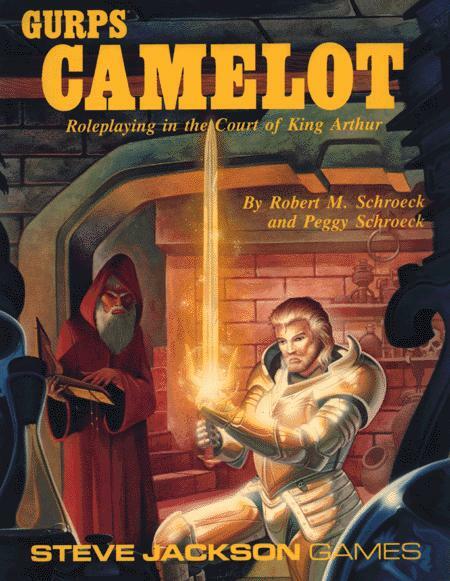 Now Camelot comes alive for the roleplayer. 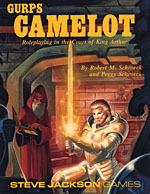 GURPS Camelot includes backgrounds for three versions of the legend. The Historical Arthur, the ancient British ruler who fought against Saxon invaders. GURPS Fantasy – Welcome to the land of Yrth, a magical realm of incredibly varied races and monsters – including people snatched from our Earth and other worlds by the cataclysmic Banestorm!